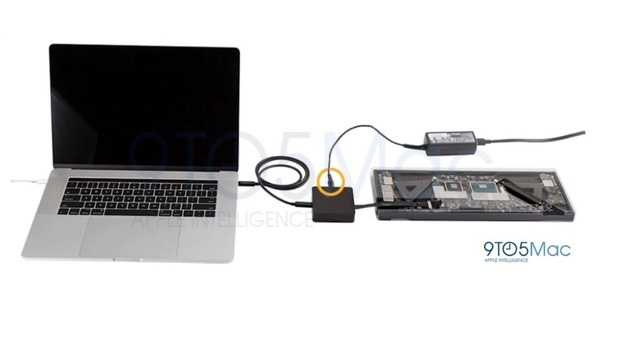 There’s some help for the MacBook Pro’s non-removable, non-upgradable, soldered-on SSD. According to a report from 9to5Mac, Apple has a tool for pulling data off the drive in case of emergency. If the SSD on the 2016 MacBook Pro, or the MacBook Pro itself, runs into trouble, Apple’s tool provides a data lifeline. Based on the image provided by 9to5Mac, the logic board is first removed from its laptop. Then, a dedicated port on the board lets the recovery tool transfer data from the SSD to a working MacBook Pro’s drive via one of its USB-C ports. Don’t go running to Amazon to buy this tool online. The report from 9to5Mac indicates this tool will be used only by Apple support staff to attempt data transfer in case the laptop doesn’t boot. This service is available (9to5Mac says) to users whose laptops are still under warranty or who have an AppleCare service plan. Why this matters: This recovery tool is a consolation prize. Because the new MacBook Pro’s key components are stuck on the logic board, the failure of any one of those parts could require replacing the entire conglomeration. Now we know how data will be transferred if disaster strikes.